If you reside in Santa Clarita and need dishwasher repair, dial our number. It’s our pleasure to help you. With experience in most brands manufacturing home dishwashers and expertise in their repairs, the team at our Pay less Appliance Repair in Santa Clarita, CA,can help you with problems, routine services and new installations. Our professionals are friendly, do their job on time, don’t leave a mess in your kitchen, take care of your needs at your own good time, and help at the quickest possible time when there is need for urgent repair in Santa Clarita. Let our team help you today. If your dishwasher at home is overflowing, noisy, leaking or doesn’t latch, open or clean dishes well, report the issues to our company. Don’t worry if you cannot figure out the reasons for the problem. We are trained to fix these appliances and offer dishwasher troubleshooting in order to exclude the good parts and detect which components have caused damage. Our technicians are thorough and experienced in most brands in California. You will be informed of the problem, quotes for our repair service and the condition of your appliance. What’s important is that our dishwasher technician will fix the problem and within a very short time. One of the goals of our company is to help clients as soon as possible. With good infrastructures and a well-prepared team, we can serve the urgent dishwasher repair Santa Clarita needs of our clients within reasonable timing. You can also depend on us to replace valves, the motor, hoses, switches, solenoids, gaskets and heating elements. 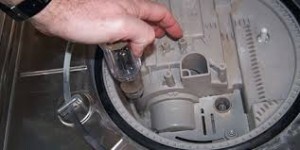 Parts are removed and installed with caution and the problem is fixed. Our professionals can routinely check your dishwasher, offer maintenance and take care of your appliance with the sole intention to reduce problems and help you enjoy the convenience of your dishwasher without paying more for energy. If you need dishwasher installation, we are still here to help you. Our technicians make installations, replacements and anything possible to keep your dishwasher functional. Let us know if you have questions.